Imagine a waterside boardwalk with vintage arcades, ice cream stands, quaint shops and restaurants, and an AMAZING view of yachts sailing all year round through gorgeous Newport Harbor. Imagine this place is FREE to explore and just across the street from Balboa Beach where you can play in the crashing waves of the Pacific Ocean. Well stop imagining, because this place is real, and this place is called the Balboa Fun Zone! Located on the Balboa Peninsula in Newport Beach CA, this is the perfect day-long getaway for local Orange County families like us, or for vacationers visiting Southern California for Disneyland. 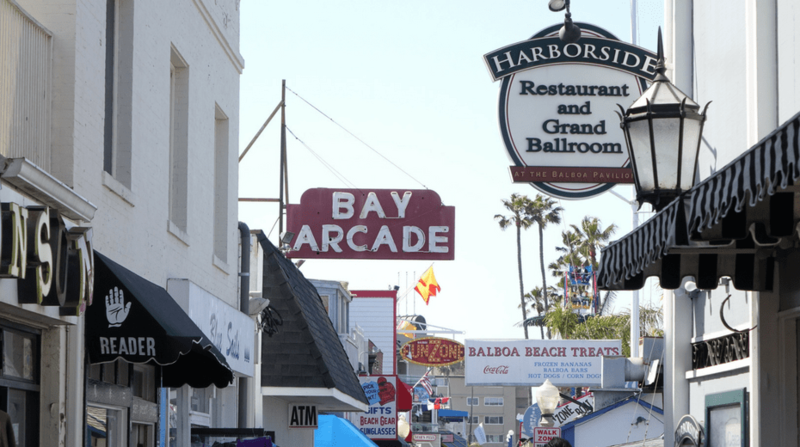 You can also hop on a ferry ride from the Fun Zone to visit Balboa Island, or have a drink at the Harborside Restaurant with the longest happy hour in OC!